Yes, it's that time again! Halloween is starting now. 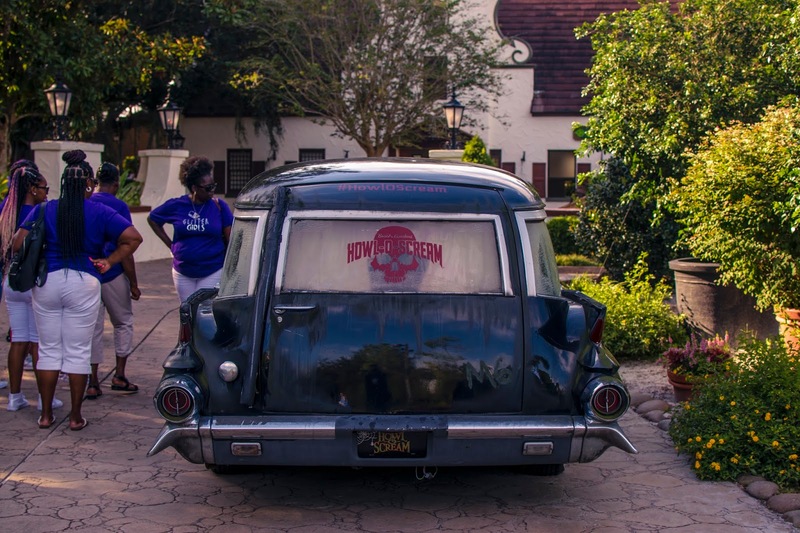 Last year was my first time experiencing Busch Gardens' annual Howl-O-Scream event, and I had a lot of fun. Since then, I've decided to do a ranked list every year of my favorite houses, which ones were misses, which scarezones were the most fun, etc. It is important to note that Stormy, Chris, and I paid for 100% of this event. 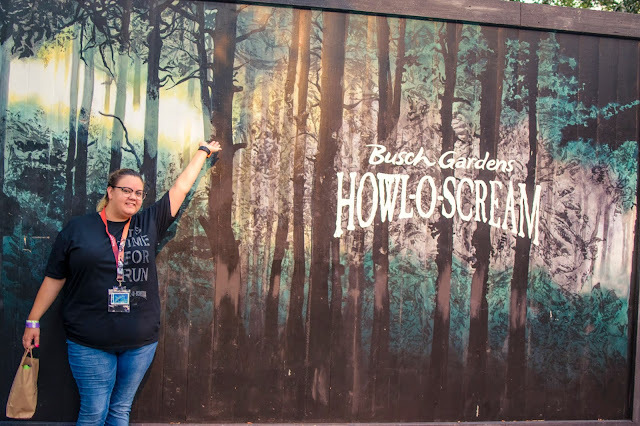 We were not given media passes, we were not comped in any way (and if you're a higher up at Busch Gardens and would like to comp us tickets, I'm always willing to discuss it!). These opinions are all ours and we got absolutely no special treatment. It should also be noted that I will go back during the season and pictures are bound to change. Some of the pictures this time around will be very generic. Sorry about that. It should also be said that 100% of the opinions on this page are mine and mine alone. Some opinions will differ from mine and that's ok. Different strokes make the world go around. 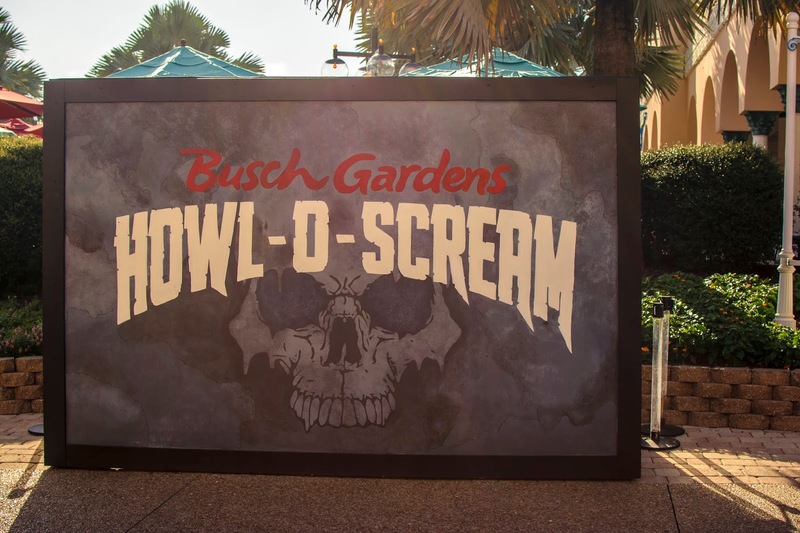 Now that we've gotten the technicalities out of the way, this is Howl-O-Scream! Stormy and I are platinum passholders at all Seaworld Entertainment parks, which means that we get into the first two nights of HOS for free. Unfortunately, I had to work on Friday, so Saturday is my first day. 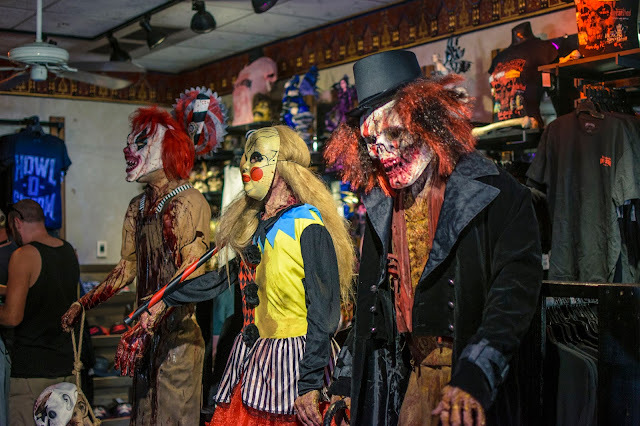 Let me state, for the record, that Fright Feast is, by far, the best deal you will ever got at any Halloween event. For $36 (a person, I believe this is with our discount), we got all you can eat, the preview to Fiends (or so they say), and an hour and a half of front of the line access. While the food is typical theme park fare (read: Not very good), the chance to sit down and relax before the event is nice. Having the scareactors come around and interact with you is... Unique. The real cool part about this deal is that you get into the event about a half an hour before the general public. This means you get to be the first group through the houses. In the first half hour/45 minutes, Stormy and I were able to easily get through three houses and were on our way to the fourth. I was a bit worried this year as we weren't able to catch the last house using our front of the line access last year. This year Busch Gardens decided to take one house away and focus on improving the other houses. Without that seventh house, we were able to make it through all six during our fast pass period. Chris, on the other hand, being the slacker he is (we love you Chris, even if you did snooze on this one), didn't get a Fright Feast pass, so Stormy and I decided to chuck out another $40/person to get a "front of the line" pass. I'd like to state, for the record, that I hate the way they do those passes. It's more expensive than FF, you only get six punches on your card, and that's it. You can use one per house or all six on one house, but once the six are gone, they're gone. I'd buy it again, but I wish it at least came with more punches. Maybe two per house? $40 is kind of steep for one skip per house. Lets talk about the houses. As was stated earlier, Busch Gardens scrapped a house this year and decided to focus all of their attention on the rest of the houses. This was an incredibly smart decision as I found only one really bad house. So, these houses will be ranked, in order, of least favorite to my favorite. Also important to note that just because HOS repeats houses doesn't mean that the houses are the same year after year. They did a lot of reworking this year and a few houses were brought to a higher level this year. Again, this list is based on my opinion. If you disagree with me, leave your list down in the comments! Lets kick this off! This house is in the same location that my least favorite house from last year was located. It's seemingly the one spot in the park that you put lackluster houses. I'm not aiming to completely trash someone's hard work, but I found this house incredibly lazy. You start out by being "separated" from your group, and by "separated," I mean you're each told to go through a different door and you all meet up on the other side. There is absolutely no separation. You're then lead through an all wood house that smells awful until you're just... Out. There's really no story to follow, and if there was, I missed it entirely. This is disappointing as it was one of the new houses and I thought for sure that it was going to be one of the stronger ones this year. 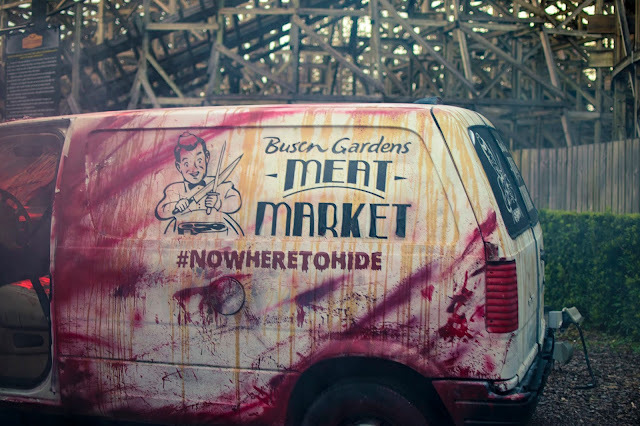 If this is the same team behind this house that did Undead Arena: Live last year, then I'd love to see Busch Gardens team them up with a member of the team on Motel Hell, Death Water, or even Black Spot to get the story part of their houses down. Overall, a very underwhelming house. Alright, crucify me now. Let me start off with this: Insomnia was a beautiful house. There was a lot of detail in it. The story was flawless: A doctor trying some unconventional techniques to make his patients better. The sets were movie grade, the actors were perfect... But there were no scares to be had. It was a lot of fun, yes, but it wasn't scary. It had a creepy, Requiem For A Dream like vibe to it, I will give it that. The actors in the house played their roles really well, and that mattress scene was really cool... But it was severely lacking in scares. Which hurts to say, because the house was SO pretty! It hurts to have to put this one so low. It was, easily, the best house HOS had last year. Unfortunately, there were very few changes. Which isn't a bad thing, but as I said earlier, some of the other houses did some really cool changes and really brought themselves up from last year. It's like HOS knew this was their best house and said, "We don't need to worry about this one, focus on the others!" I am glad to see that they took out a lot of the outside area from last year and replaced it with, well... A scene that makes a lot more sense. There are still a few quirks left over from last year, like a single room in this house that's so out of place that it'll completely pull you out of the mood, but other than that, this was a solid house. Still one of my favorites. Yes, this is one of the houses I need a picture of. Sorry. That said, Unearthed was so vastly different this year that it should've used a different name. In the past, Unearthed was about a house with some supernatural things going on and a house literally trying to eat you. Those are still present in this house, but it's such a minor detail it's not worth talking about. 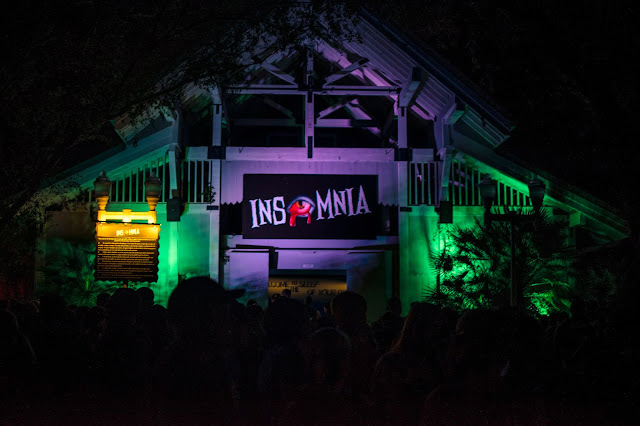 This house you're given a flashlight (one that flickers as you go through the house) and you're looking for a lost Busch Gardens team member in the house. He, unfortunately, didn't make it. The only real issue I had with this house is that there was, at absolutely no point, a need for the flashlight you were given. There was no dark room in this house, there were no clues to be found, there was no light trigger, the flashlight wasn't marking you for a special scare... Nothing. Outside of that, the changes made to the house were refreshing, and it was able to breathe life into a house that was starting to feel stagnant. Alright, look, it's no secret that I love pirates, but this house did a lot of work to fix up any issues I had with it last year. The pirate ship has caught the plague and everyone's dead... Or are they? You're thrust into a ghost ship with pirates who are trying to warn you that everything isn't as it seems. There are floor tricks, jump scares, dark rooms, strobes, you name it. Any scare you could this of. Look up, you may even come face-to-face with the captain. Whatever you do, don't catch the black spot. The queen is dead! 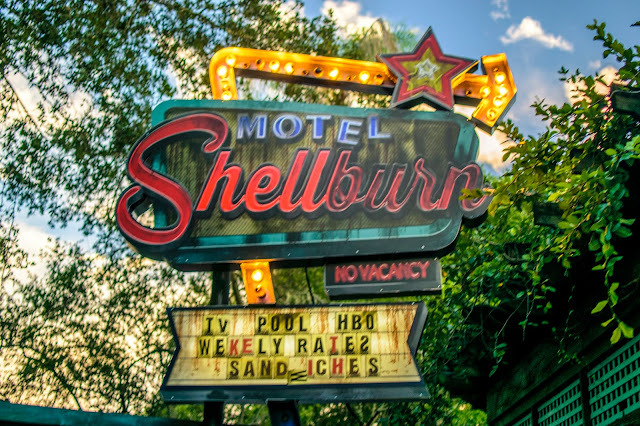 This house was one of the best houses last year, but I put Motel Hell over it. This year, I'll say that Death Water Bayou was the strongest house here. The story was a lot of fun to follow and the scares came so naturally. You're told about the queen's death from the beginning and you follow the twisted tale all the way to the funeral... And beyond. The best part about this house is that not all of the actors in it are jump scares. They have some people here that are just meant to add to the creepy ambiance. Every room in this house fits right into the theme and keeps the story progressing. The scares are there and the story is easy to follow. The actual design and level of detail that went into this house is pristine. When you reuse a house as often as this one, you have to keep it fresh, and HOS managed to add to it from last year, making it the Exploring Tampa favorite house of the year (yes, Stormy, Chris, and I all agreed on this house. A rarity.). Busch Gardens also did something new when it came to scarezones. While there were scarezones in the usual spots and props, and scareactors, etc, they also put actors in areas well outside of scarezones. Not all of them were a hit (I'm talking to you, tree lady), but they were there! From the clowns outside of Dragon Fire to the toys outside of Sesame Street, there was something for every fear. Unfortunately, I didn't have as much time as I would've liked to have gone through all of them and really explore. I also need to go back and get a lot more pictures. 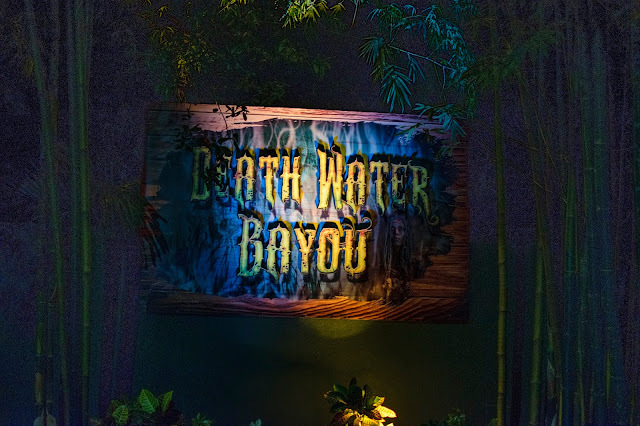 Since I didn't have a chance to get pictures, or to experience most of the scarezones this year, I'll hold off on my list. Keep checking back for updates. And finally, the show Fiends was held at the Stanleyville Theater. I thought that the show last year was pretty... I'll just say it, I wasn't very excited to see this year's show. This year's was a lot better than last year's. If you're unfamiliar with the show and you couldn't tell from the nurses above, this show is incredibly raunchy, poking fun at celebrities, politics, and pop culture. It is a must see, and every year (lightly) touches upon the last. Come celebrate Dr. Freakenstein's birthday with the help of Igor, the Wolfman, Dracula, the Mummy, the nurses, and the batgirls. Expect lots of dancing, bad jokes, and, well... Nurses. - If you're not a passholder, parking costs $22. It might go up as the season goes on. There are also certain dates where the crowds will be bigger. - They stop selling Fright Feast the day before (unless it sells out before then). Be sure to get it early! 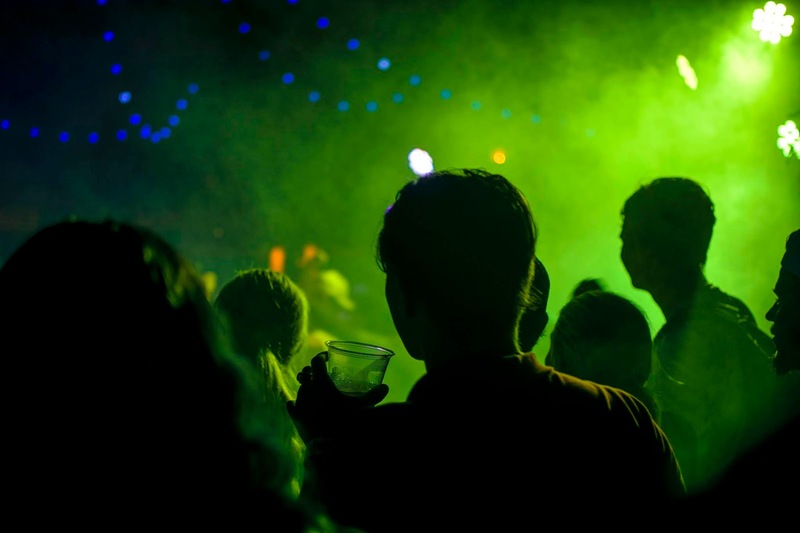 - The suggested age for this event is 13+. No, ten year old Timmy probably wont enjoy himself. 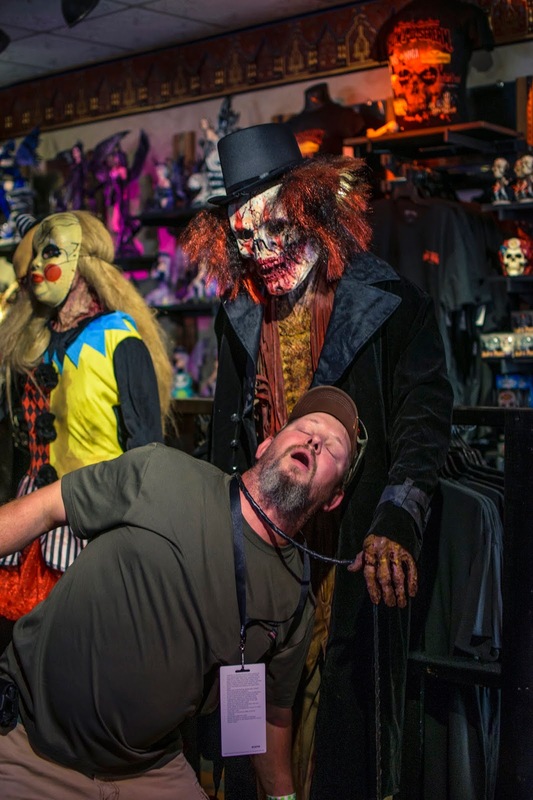 Have you been to Howl-O-Scream this year? What are your favorite houses? Leave a comment below. If you'd like more information on Tampa, check out my YouTube Channel and if you'd like to support my efforts, don't hesitate to buy a shirt from our Spreadshirt (we have new designs!). Also, don't be afraid to click subscribe and you'll instantly be notified whenever a new entry is posted. Thank you all and I will see you next time!